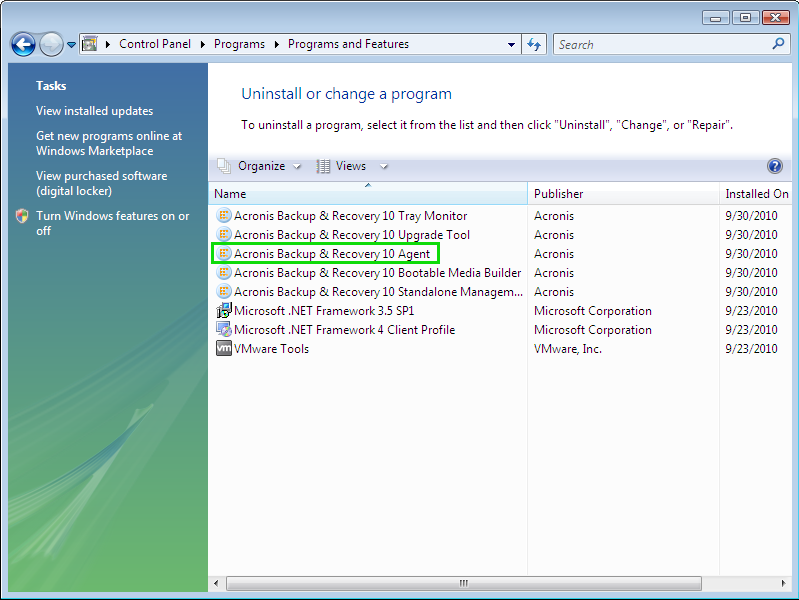 This article does not apply to later versions like Acronis Backup 11.5. Symptoms and cause of this issue depends on an error message you receive. MMS: "Failed to establish local connection to Acronis Managed Machine Service. 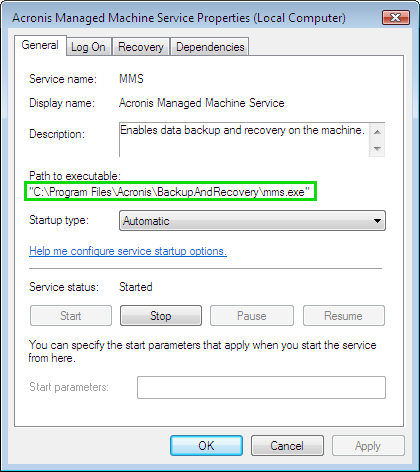 Make sure that the service is installed and its status is Started"
Failed to establish local connection to Acronis Managed Machine Service. Make sure that the service is installed and its status is Started. MMS is started but it is not completely initialized yet. (!) 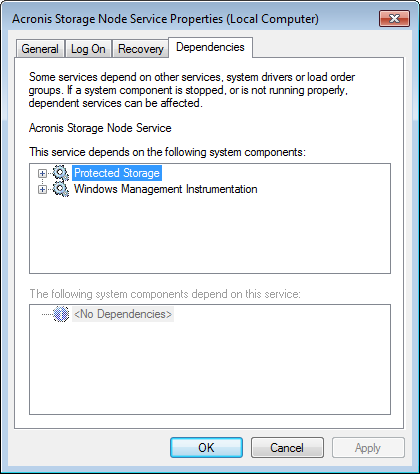 Acronis Services do not run in Windows safe mode. (!) Please make sure that the name of the service is correct. 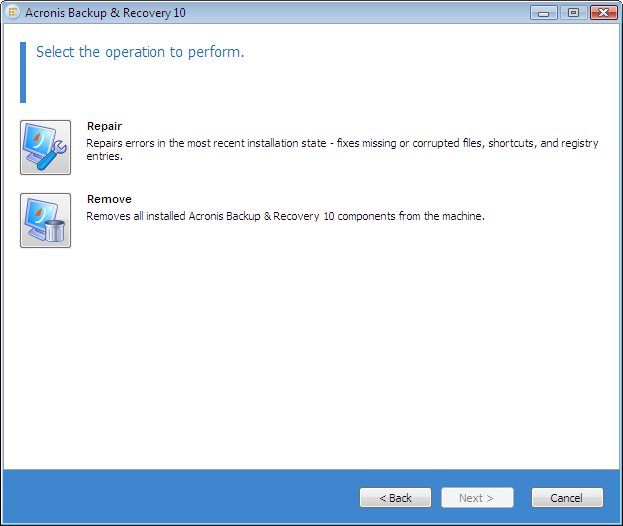 If the service is already started please wait 2-3 minutes after system start before launching Acronis Backup & Recovery. This ensures that the service has time to initialize properly. 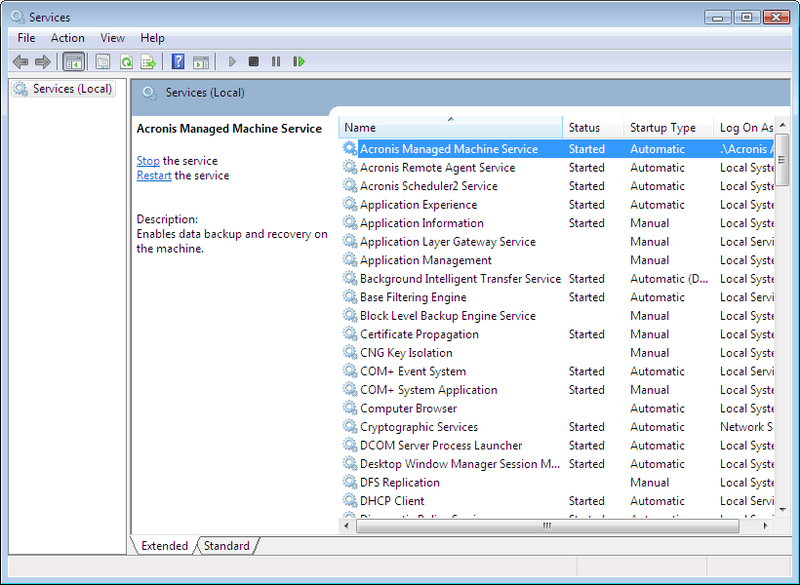 The service needs some time to initialize and to work with Acronis Backup & Recovery. Normally the service needs 10-15 seconds to start and initialize, but on some systems the startup may take longer, depending on the system configuration. 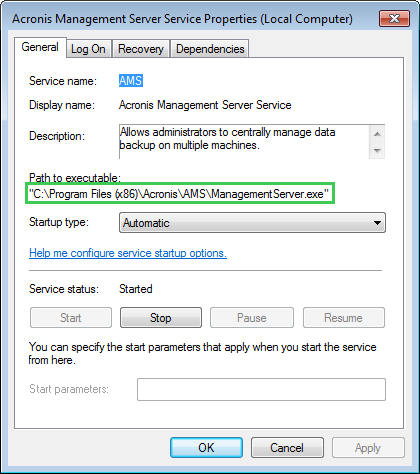 AMS: "Failed to establish local connection to Acronis Management Server Service. Make sure that the service is installed and its status is Started." 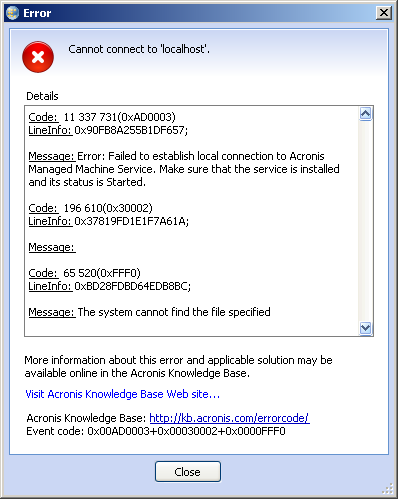 Error Message: "Failed to establish local connection to Acronis Management Server Service. Make sure that the service is installed and its status is Started." 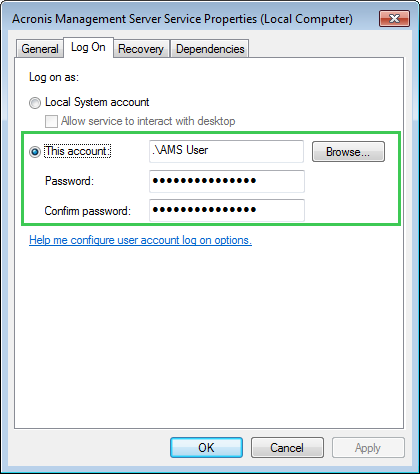 AMS is started but it is not completely initialized yet. 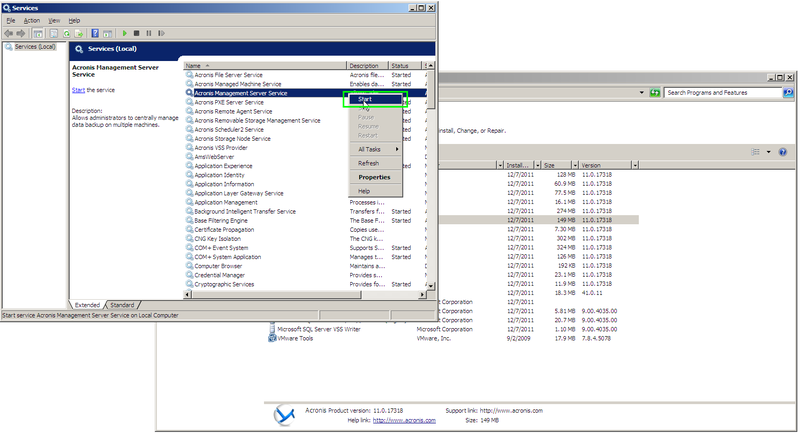 If the service is already started please wait 2-3 minutes after system start before connecting to Acronis Management Server. This ensures that the service has time to initialize properly. 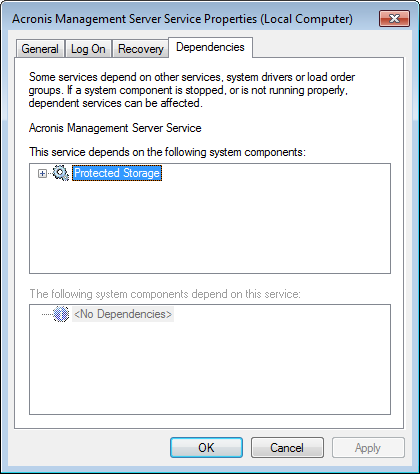 Usually this is Protected Storage service, which is non-Acronis service. Please check with Microsoft why the Protected Storage service is not started. 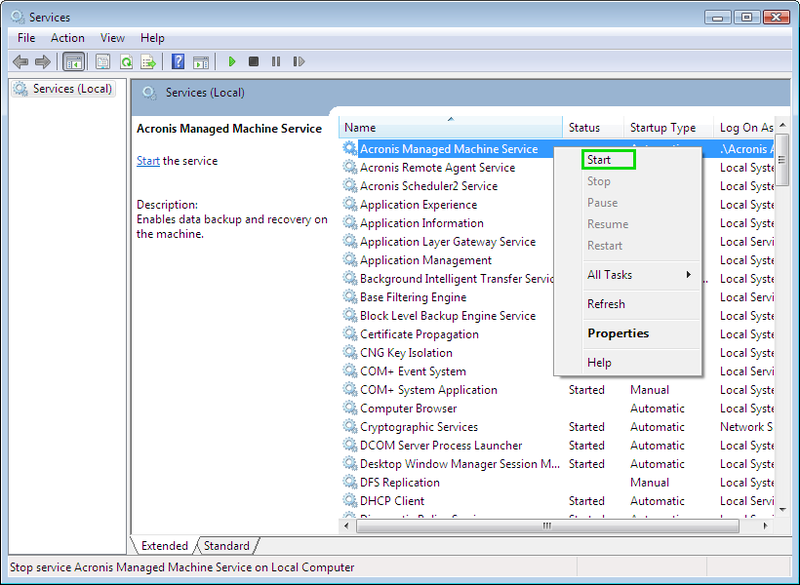 This means that the service executable (ManagementServer.exe) cannot be accessed - e.g. it has been deleted, moved, the disk with it has been taken offline etc. ASN: "Failed to establish local connection to Acronis Storage Node Service. Make sure that the service is installed and its status is Started." 1. 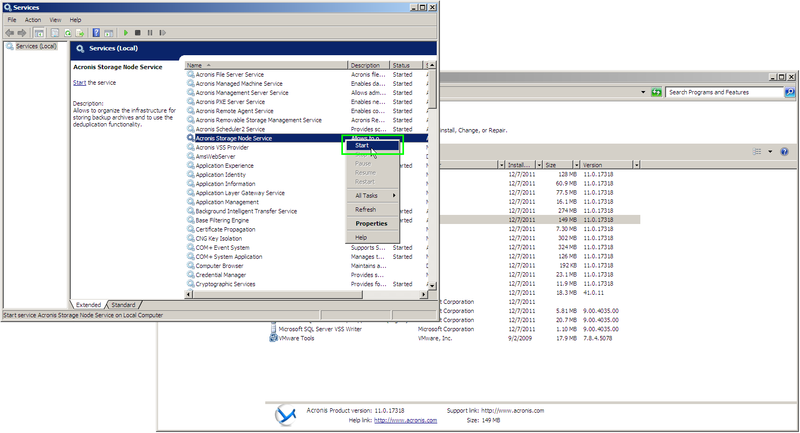 You try to add local Acronis Storage Node to your Acronis Management Server. 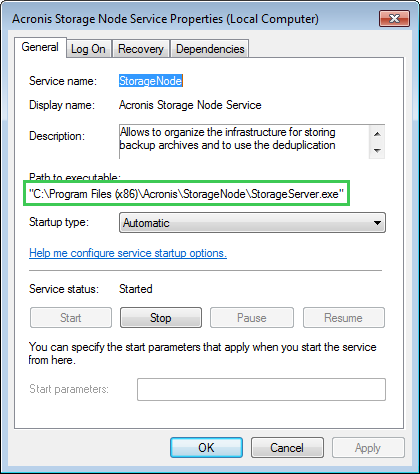 Error Message: "Failed to establish local connection to Acronis Storage Node Service. Make sure that the service is installed and its status is Started." ASN is started but it is not completely initialized yet. 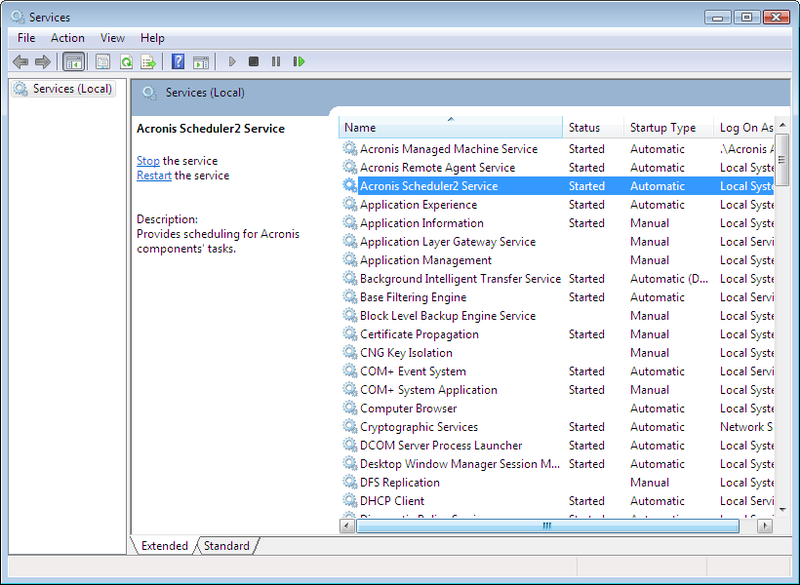 If the service is already started please wait 2-3 minutes after system start before adding ASN to Acronis Management Server. This ensures that the service has time to initialize properly. 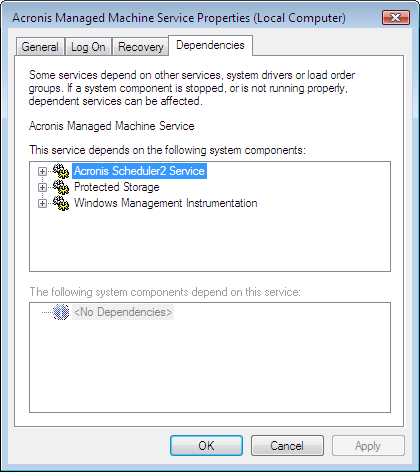 The service needs some time to initialize and to work with Acronis Backup & Recovery. Normally the service needs 3-5 minutes to start and initialize, but on some systems the startup may take longer, depending on the system configuration. Usually these are Protected Storage and Windows Management Instrumentation services, which are non-Acronis services. Please check with Microsoft why these services are not started. 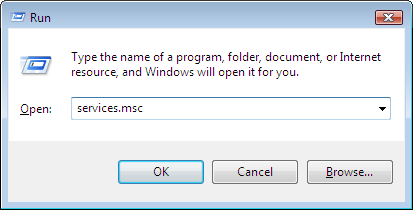 This means that the service executable (StorageServer.exe) cannot be accessed - e.g. it has been deleted, moved, the disk with it has been taken offline etc. (!) 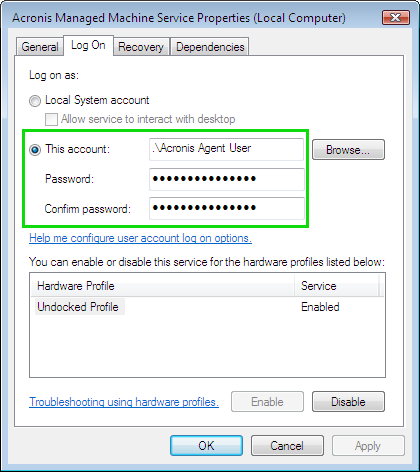 If the service crashes after start, or if the service shows up as Started but the issue persists, please contact Acronis Customer Central with a reference to this article.